Are Core Competencies Difficult to Understand? – Critical Skills! Core competencies are NOT difficult to understand, but the way some organizations describe them clearly shows that there does not seem to be full agreement in their description. Perhaps this is a way to create some confusion about the subject and, accordingly, create a need for consulting services! That’s a bit cynical, I know, but unfortunately is probably true. Check out these images that have been created to visually show what “Core Competencies” are – then ask yourself if you really understand what they mean. In some cases – yes; in most of the other cases – no. I subscribe to the “Keep It Simple Stupid” approach. Making something complex might serve as a mental stimulation exercise, but does not lend itself to effective implementation and understanding mainly because of the introduction of unnecessary detail. If you want to introduce “Core Competencies” as something which your organization can adopt, then a more simple approach might be in order. 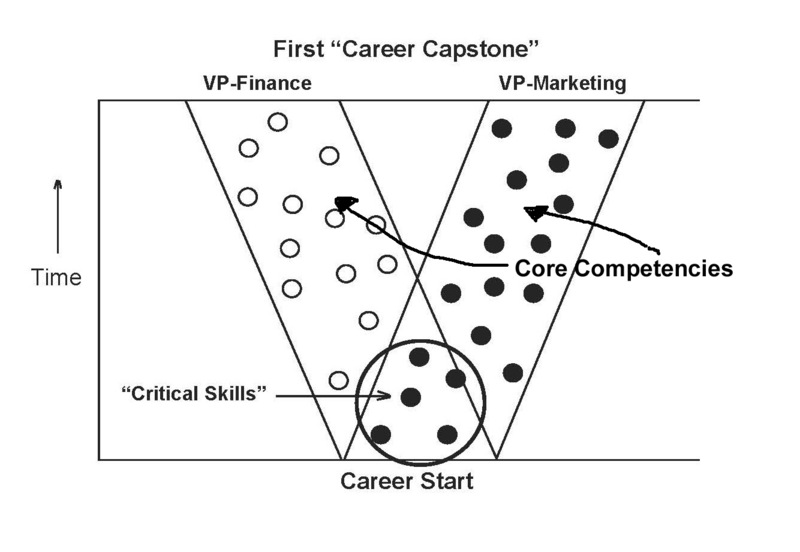 I do not consider the “Critical Skills” to be “Core Competencies.” The “Critical Skills” cut across industries as well as functional areas and do not make either a company or the positions within a company unique. For example, the “Communications Skill” – the ability to transmit ideas from your head and into someone else’s head or the ability to receive ideas from someone else – does not change materially from one organization to another; similarly, the information gathering and analysis skills are virtually the same whether you are a physician, a lawyer, a stock analyst or an accountant in a steel company. But the “Critical Skills” are the same! While there are a lot of organizations that provide consulting services regarding Core Competencies, I particularly like the way Greg Sekowski of HR Strategic Partners describes them. Check out what he says.